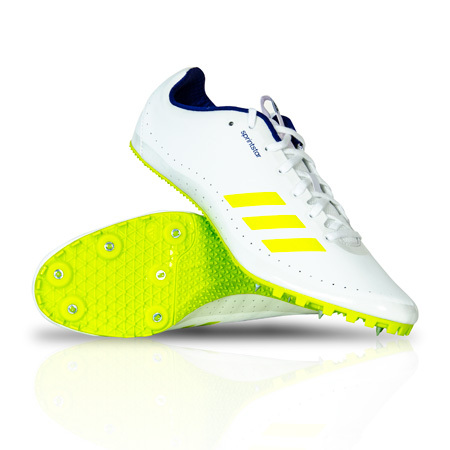 A versatile sprint spike perfect for the entry level athlete, the adidas Sprintstar is ready to hit the track. A lightweight Pebax plate provides stiff responsiveness and SPRINTWEB technology provides a snug lockdown to keep your foot in place. Along with a soft collar to reduce Achilles irritation, the Sprintstar will blaze by the competition with ease. Includes twelve 1/4" pyramid spikes with a spike wrench.